Disney is considering buying the bulk of 21st Century Fox’s film and television assets, according to CNBC. A deal would net the media titan more than a few superheroes and franchises – it could revitalise its struggling cable and studio businesses. 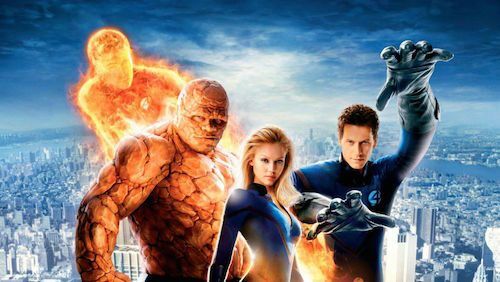 Fox’s film studio, 20th Century Fox, owns the rights to superheroes such as the X-Men and Fantastic Four. A Disney buyout would return those characters to its Marvel Studios subsidiary, freeing them to appear alongside the likes of Iron Man and Captain America. Disney would also obtain the rights to blockbuster franchises such as Avatar and Planet of the Apes, as well as classic titles such as Alien, Die Hard and Ice Age. Similarly, buying Fox’s cable channels and TV studio would give Disney ownership or control of Marvel superhero shows such as Legion and The Gifted, critically acclaimed dramas such as The Americans and Empire, and classic shows including The Simpsons. Disney might also secure Fox’s 39% stake in Sky, which could become a controlling share next year if regulators approve Fox’s proposed takeover of the European broadcaster. However, Disney doesn’t plan to buy Fox’s news, business or sport channels as companies are barred from owning more than one of the major broadcasting networks, and attempting to combine ESPN and Fox Sports would undoubtedly draw anti-trust scrutiny. Fox’s programming, reach and international interests are likely to appeal to Disney, but its growth might be an even bigger draw. Sales dipped and operating profits fell 11% in Disney’s media networks segment last financial year, while its studio division suffered double-digit declines in revenue and operating profit. In contrast, sales and operating profits grew by 7% and 9% respectively in Fox’s cable business last financial year, and revenue in its television segment jumped 11%, driving operating income up 20% there. Although sales and profits fell in Fox’s film division, Disney executives will hope an influx of new assets can revitalise growth. Another big reason for Disney to buy Fox would be to bolster its upcoming video-streaming service. The company plans to pull its films off Netflix, undercut it on price, and offer exclusive Disney, Pixar, Marvel and Star Wars content to subscribers. Adding Fox’s rich content library and popular programming would create a more compelling proposition. It’s unclear if Disney will add Fox’s stake in Netflix-rival Hulu to its own, or look to offload its interest in the joint venture once it has a dedicated service. Fox executives are reportedly shifting their focus to news and sports because they fear their film-and-TV business is too small to hold its own against Facebook, Google, Amazon, Netflix and other recent market entrants. Meanwhile, Disney won’t mind shelling out for growth, top-notch TV programming, major film franchises and beloved Marvel characters. The company will be confident it can make a return on the purchase, as it excels at squeezing value out of characters and concepts, for instance by parlaying successful films into TV shows, theme park rides, video games and merchandise sales. One concern is that Fox’s mature superheroes will clash with Disney’s family-friendly Avengers, spelling the end of films like Deadpool and Logan. However, Disney hasn’t balked at releasing ultra-violent Marvel shows such as The Punisher onto Netflix, so that fear may prove to be overblown. Superhero fans will celebrate the reunion of Marvel’s superheroes, especially following the successful return of Spider-Man, who’s on loan from Sony. Meanwhile, the deal allows Fox to cash out and depart a difficult business, and Disney to strengthen its streaming offering and expand its film and TV slate for the coming years. Rather than the moral quandaries or monumental stakes common in the superhero genre, this deal’s success is likely to centre on something much more prosaic: price.